Here's a novel you might enjoy if you're interested in ethics "across the species divide." 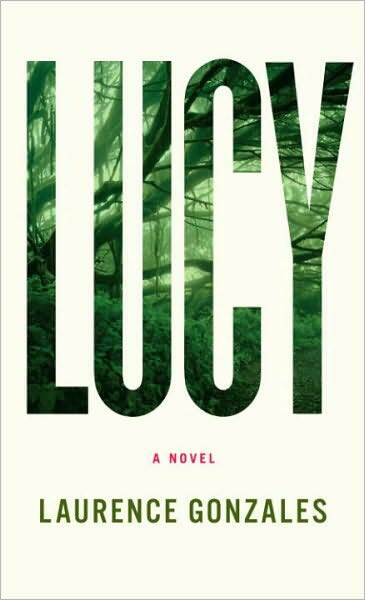 Lucy is half human, half bonobo--the creation of Stone, a primatologist living in Congo who's killed by soldiers as the story begins. He created her to protect bonobo genes from extinction (interesting idea: it's genes that matter, not the organisms that have them). Plus, he was hoping to improve the human genome (another interesting idea: humans don't need to become brighter and stronger and closer to immortal, just nicer). Some readers will quibble about Lucy's mix of human and bonobo traits. She's the girl who has it all--all the best human traits and all the best bonobo traits. She looks almost completely human (never fear, she's not hirsute) and isn't language-challenged or promiscuous, but she does eat her bananas whole. It's not realistic, but this premise allows Gonzales to explore how we react to species itself, regardless of species-related characteristics. We would discriminate against a Lucy based on sheer species, he speculates, just like in real life people discriminate based on sheer race, sheer gender, and so on. This is a genuine novel--a very straightforward, un-"literary" one--not a fictionalized philosophical argument. You could read it at the beach, but then again, you could have good classroom discussion about the issues it raises. There's the issue about species (should we care about it?) but another nice, thorny question runs through the book, one about creating life. What if Stone had known just how Lucy's life was going to turn out? Would it have been wrong for him to create her? Why? Why not? I'm about 2/3 done, so if you comment, NO SPOILERS PLEASE! This book seems to have a lot to recommend it from a literary and an ethical standpoint.